Hire up to two (but no fewer than one) summer interns through participation in the Hire One Youth program. Goals of the summer intern program will be to promote the development of office skills and expose the intern to work done within a global law firm practice. Year One Progress: Hogan Lovells hired one intern in 2016 through the Hire One Youth Program. Year Two Progress: Hired one intern in 2017 through the Hire One Youth Program. Review spending decisions in an effort to increase the percentage of spend with Baltimore City businesses, understanding that currently a majority of all discretionary spending is with local Baltimore City businesses. Year One Progress: Hogan Lovells has developed a system to review spending decisions. Year Two Progress: Spent $66,000 with Baltimore City vendors in 2017. Hogan Lovells held a practice area retreat in Baltimore, which brought more than 300 lawyers over four days. Events related to the retreat generated over $500,000 for Baltimore City businesses. Establish a baseline of Baltimore city spending to measure against. Year Two Progress: Set goal to spend $70,000 with Baltimore City vendors in 2018. Evaluate whether there is an available local or MWBE business that could provide comparable services, quality, and cost prior to renewing any contract with a business that is neither an MWBE nor an enterprise located in Baltimore City. Year One Progress: Hogan Lovells continues to assess contracts to explore opportunities with MWBE businesses and Baltimore City Businesses. Year Two Progress: No change. Devote at least $75,000 worth of timekeeper hours and 200 hours of nonlegal time to matters that relate to building a stronger Baltimore, including activities that promote workforce development and facilitate economic opportunity. Year One Progress: Hogan Lovells provided nonlegal time to matters that relate to building a stronger Baltimore, such as leading expungement clinics. Year Two Progress: Provided 504 hours of nonlegal time volunteering at nonprofits, such as Sarah’s Hope and community clean-ups in Baltimore City. In addition, Hogan Lovells provided 2,430 hours of legal time providing legal representation and expungement services in Baltimore City and the region. All told, Hogan Lovells commitments of nonlegal and legal time accounted for significantly more than $75,000 in 2017. Support the efforts of members of our team in leadership roles with local Baltimore nonprofits. Year One Progress: Hogan Lovells team members serve as leaders on multiple local Baltimore nonprofit boards, including the Center for Urban Families. Support the development of an initiative to mentor local Baltimore businesses and, in connection with that initiative, provide $75,000 worth of timekeeper time on governance and organizational matters. Year One Progress: Hogan Lovells is working to identify partners to lead this initiative. Identify local contractors for the office renovation of Hogan Lovells Baltimore office. Year Two Update: Spent $25,052 with minority subcontractors during a 2017 office renovation. 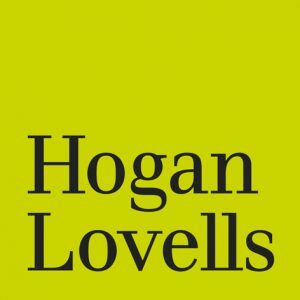 Hogan Lovells is a multinational law firm with approximately 2,500 lawyers working in more than 40 offices around the world, including for more than 25 years an office in Baltimore City. Commitment to the communities in which we are located is one of the guiding principles of Hogan Lovells. In 2015, Hogan Lovells launched a groundbreaking Global Citizenship Policy, which asks everyone at the firm to devote at least 25 hours a year to Citizenship program activities. The firm makes accommodations so that everyone at the firm can take part in one or more activity—as part of their normal duties—that fits under one of the five overarching pillars of the program: Pro Bono, Community Investment, Diversity, Environment, and Touch: Matched Charitable Giving.